Genetic Testing Could Interfere With Your Ability To Get Life Insurance : Shots - Health News Federal law keeps insurers from using genetic test results when pricing and issuing health insurance. But the tests might keep you from being able to get life insurance or a long-term-care policy. 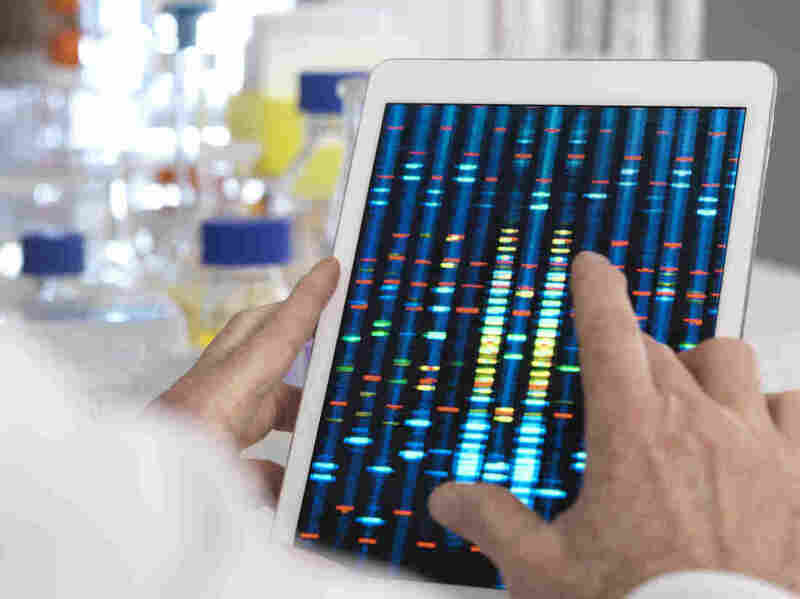 The results of genetic testing — whether done for health reasons or ancestry searches — can be used by insurance underwriters in evaluating an application for life insurance, or a disability or long-term-care policy. In general, long-term-care insurers can indeed use genetic test results when they decide whether to offer you coverage. The federal Genetic Information Nondiscrimination Act does prohibit insurers from asking for or using your genetic information to make decisions about whether to sell you health insurance or how much to charge you. But those privacy protections don't apply to long-term-care policies, life insurance or disability insurance. When you apply for a long-term-care policy, the insurer is permitted to review your medical records and ask you questions about your health history and that of your family. It's all part of the underwriting process to determine whether to offer you a policy and how much to charge. If the insurer asks you whether you've undergone genetic testing, you generally must disclose it, even if the testing was performed through a direct-to-consumer site like 23andMe, says Catherine Theroux, a spokeswoman for LIMRA, an insurance industry trade group. If you get genetic testing after you have a policy, the results can't affect your coverage. "Once the policy has been underwritten and issued, the insurer doesn't revoke the policy if new medical information comes to light," Theroux says. It depends. Under federal law, when people turn 65 and first enroll in Medicare Part B they have a six-month window to sign up for a Medigap plan — a commercial policy that picks up some of the out-of-pocket costs for services that Medicare doesn't cover. (Medicare Part A covers hospitalization, and Medicare Part B covers outpatient services.) During that six-month period, insurers have to accept enrollees, even if they have health problems. If you're still within that six-month period now and you want to switch plans, go right ahead. But if you're past the six-month window, under federal law, insurers are required to sell you a plan only in certain circumstances — such as if you lose your retiree coverage or Medicare Advantage plan. If you don't meet the criteria, insurers can decline to cover you or charge you more for pre-existing medical conditions. Many states have provided more robust protections, however. Three states — Connecticut, Massachusetts and New York — have year-round open enrollment and require insurers to offer coverage. And Maine requires a one-month "guaranteed issue" open-enrollment period every year. "The first thing the person should do is check with her state insurance department to find out her rights related to buying a Medigap plan," says Brandy Bauer, associate director at the Center for Benefits Access at the National Council on Aging. If you decide to go ahead and switch, she says, it is wise to sign up for a new plan before terminating your current policy. Q: I did not enroll in Medicare Part B when I turned 65 because I already have a regular plan that covers everything. I was told that the insurer would keep paying as usual, but now the company says it will pay only part and that I have to buy Medicare Part B. I didn't want to pay for two policies. Is there anything I can do to avoid that? From your description, it's hard to know exactly what's going on, but we can make educated guesses. Typically, when people turn 65, it makes sense to sign up for Medicare unless they or their spouse are working and getting health insurance from an employer. For others, at age 65, Medicare typically becomes their primary insurer and any other coverage they have becomes secondary, filling in gaps in Medicare coverage. But if you're not receiving employee coverage and you don't enroll in Medicare Part B, you could be subject to a permanent late enrollment penalty of 10 percent of the policy's premium for every 12 months that you could have signed up for Part B but didn't. Editor's note: An earlier version of this story quoted Catherine Theroux as saying, "You need to release any medically relevant information," when applying for certain types of insurance. After the story's publication, Theroux contacted Kaiser Health News to say she meant to say "should release" rather than "need to release."